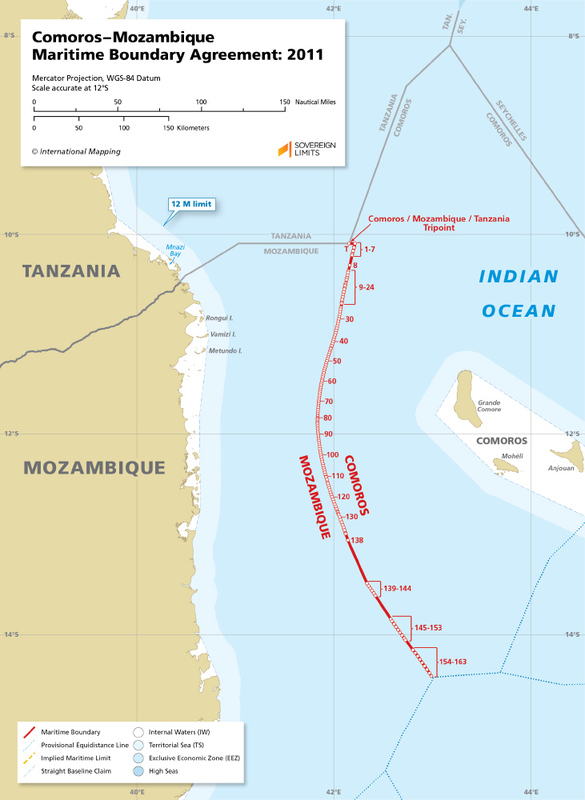 The maritime boundary between the Comoros and Mozambique was established in a 2011 bilateral Agreement, and it follows a series of geodesic lines running broadly parallel to the Mozambique coast in the westernmost portion of the Indian Ocean. The boundary, which divides the exclusive economic zones of the two States, was constructed using the equidistance methodology. The Parties agreed to a tripoint with Tanzania at the same time.